He was born June 18, 1936, in Crystal, Indiana, to Wallace and Lowell (Cave) Thacker; and married Monica Terwiske on June 15, 1963, in Ireland, Indiana. Bob was former owner/operator of Tri-State Communications in Evansville. He attended Old Miss and Oakland City College where he enjoyed playing sports. He was a member of the Holland American Legion Post #343, Huntingburg Fraternal Order of Eagles and the Huntingburg Country Club. Bob was an avid golfer, sports fan, and supporter of Southridge High School athletics. He served in the United States Army where he was a member of the basketball and baseball teams. He was preceded in death by one daughter, Lori Thacker, one son, Barry Thacker; and one brother, Wally Thacker. He is survived by his wife, Monica Thacker of Huntingburg; two daughters, Beth (Roger) Kippenbrock of Ferdinand and Maria Thacker of Jasper; one sister, Margaret Seitz of Bloomington; five grandchildren, Kelsey, Morgan, Shelby, Josh, and Parker Kippenbrock; and one great-grandchild, Kayden Kerstiens. 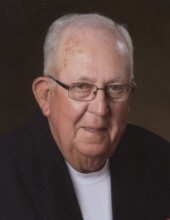 Memorial services for Robert “Bob” Thacker will be held at 5:00 p.m., E.S.T., on Tuesday, April 2, 2019, at the Nass & Son Funeral Home in Huntingburg with military rites conducted at the funeral home by the Holland American Legion. Military rites will be conducted by the Holland American Legion Post #343. "Email Address" would like to share the life celebration of Robert E. "Bob" Thacker. Click on the "link" to go to share a favorite memory or leave a condolence message for the family.